Dry skin is one of hell’s little devils that creep up on you, ruining your complexion. It is caused by the overuse of products that dehydrates the skin cells and leaves them with a lack of moisture, or cold temperatures that are harsh on cells. Each day we rip our skin of its natural oils and forget to nourish it before we expose it to more harsh factors. Lemon not only nourishes dry skin but also heals and repairs the daily damage. Lemons are full of antioxidants, such as vitamin C, that protects our skin against environmental damage, which leads to aging. They help our cells get to work by boosting the collagen levels and restore elastin to reduce the look of fine lines and wrinkles. The vitamin C in lemons also reduces any hyperpigmentation caused by the sun. It brightens the skin by working into the pigmentation to dissolve any brown spots, leaving you with even, toned skin. The citrus fruit also has tissue repairing and anti-inflammatory properties. When applied to the face, the juice can heal acne scars and prevent blemishes. The juice also has a powerful aroma that energises and uplifts your mood, making it perfect to add to your morning shower or as a component to dry body brushing. Click here to find out the benefits of dry body brushing and how to do it. 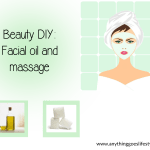 Make your own body treatment to heal your dry skin and leave you feeling confident and energized. Squeeze the lemon juice into the water and add the sugar for an exfoliating scrub. This will help rid your skin of dead skin cells to make way for fresher and hydrated skin. Apply the mixture all over your body before showing, focusing on the dry areas. Rub deeply for 60 seconds each and wait for it to dry to allow the lemon to penetrate the skin. Wash off and pat skin dry. Remember to moisturize your skin everyday to provide your skin with lasting hydration.